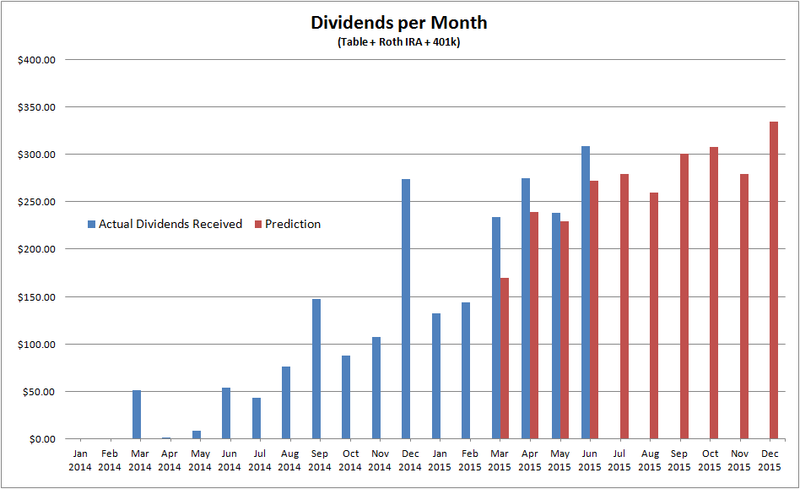 Very impressive, that's the way dividend growth chart should look! We have similar golds as well, I'd like to see $300 on average per month by the end of the year. Should be close for me, well see.